It's never too early to begin preparing for your online class. There are several resources available to get you ready for online learning at the San Diego Community College District.Please watch the video (Captions are available when the video is viewed on YouTube). Take the SmarterMeasure Online Learning Readiness Assessment to find out if online learning is right for you. It's a great way to prepare yourself for what to expect as an online student. When you click on the link above, you will be taken to a Blackboard login page. Log in to Blackboard (student username is your CSID; initial password is your 8-digit birthdate [mmddyyyy - for instance, someone with birthdate June 4 1990 would have a password of 06041990]). Once you log in, you will see an Access Denied message because you are not yet enrolled in the Blackboard course that contains the assessment. You will find a button on the left labeled Enroll. Click this button to self-enroll in the course so you can take the assessment by clicking on the link labeled "Are You Ready for Online Learning?" Here's a short video tutorial showing what this process looks like: http://www.youtube.com/watch?v=yep1d3xdxhQ&hd=1. Not sure if you have the technical equipment necessary to be successful online? You'll want to check out the Technical Requirements for Online Learning page before enrolling in an online class. 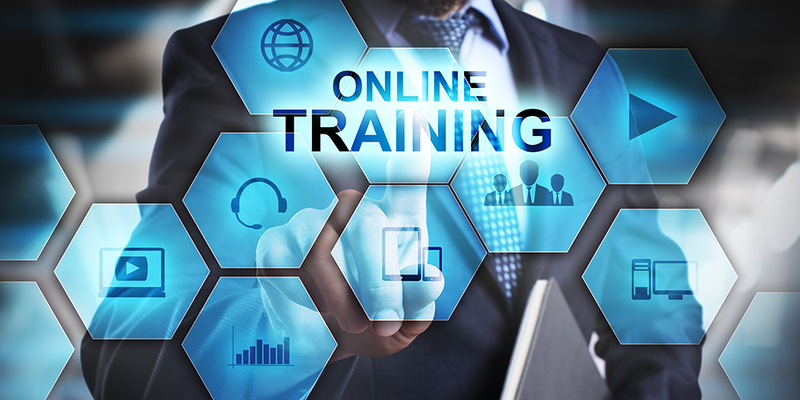 Once you have taken the readiness assessment and checked the technical requirements for being an online student, you can access the course schedule to explore online course offerings. For questions about registration and waitlists please access the Registration Directions page. You will not be able to login to your online class until the first day of the semester. Want to find out more about the online courses being offered next semester? Several online instructors post Course Information Pages with specific course requirements, textbook information, and other important details about the course. Already registered for an online course? You should receive an email from Student Services with helpful information about logging into the course and getting started on the first day. Be sure to check your email as the first day of class approaches. Check out all the student support resources available to online students! Please watch the video (Captions are available when the video is viewed on YouTube). Check out our Online Student Tips for Success (pdf) for some helpful advice to being successful online. What do your peers say it takes? Check the video. An online class is different from other websites and chatroom. Professional and courteous behavior is expected, even if you aren't meeting with your class in person. Read through the Netiquette Guidelines for Online Students (pdf) to find out more about proper behavior in the online setting. All students should be familiar with the College Policies - Student Code of Conduct (pdf) at the San Diego Community College District. Technical Help is available 24/7. You can contact the Helpdesk from the Helpdesk website, or you can call them toll-free at 866-271-8794. Staff are standing by to assist you! Be sure to check out the other student services available on your campus. You won't be able to login and access your course until the first day that the course starts. On the first day of class, you can use the information on this page to login to Blackboard. Also view this information in the How to login to Blackboard video tutorial. Go to the Blackboard Login Page. Type your Username: 7-digit College Student ID (CSID) number. Are you a returning student? Your password may no longer be set to your birthdate, if you logged in during a previous semester and changed your password. If you need to reset a lost password, please access the How to reset your password video tutorial. How to navigate a course and an overview of Bb tools (video tutorial). This video tutorial will take you through a sample course on Blackboard. Students get basic navigation instructions inside a Blackboard course and an overview of the Blackboard tools that are commonly used in online courses. How to update your email address in Blackboard (video tutorial). This video tutorial shows students how to update their email address on Blackboard. This is an important step to preparing for success online. Many system notifications and instructor announcements get forwarded to en external email address. It's imperative that students use a current email address and check it often. Looking for more tutorials? There are several more tutorials available for our online students at SDCCD. Be sure to check out the entire list of student tutorials on our Online Student Tutorials page. In the Sample Course, you can practice accessing content, taking tests, creating discussion threads, sending messages, and submitting assignments. Accessing the Sample Course will help to get you familiar with the Blackboard environment so that you are ready to go once your course becomes available on the system.